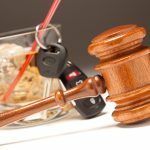 What can happen if you are charged with driving under the influence – DUI – in the state of Washington? How can a Seattle DUI lawyer help? The penalties, including possible jail time, can be quite harsh, but keep reading, because if you now face a driving under the influence charge in Washington – or if you are charged with DUI in this state in the future – this is information that you’ll need to know. In some cases, a DUI charge in Washington – especially if no property was damaged and no one was injured – can be reduced to a less serious charge or even entirely dismissed. Your DUI case might be dismissed if the police violated your rights when they stopped, arrested, or tested you for DUI, or if your lawyer can cast doubt on the DUI test results. WHY IS AVOIDING A DUI CONVICTION SO IMPORTANT? Usually, however, in most driving under the influence cases, a reduction of the DUI charge to a less serious charge will be the best possible way to resolve the case. Avoiding a DUI conviction is important for a number of reasons, and avoiding time in jail is only one of those reasons. If you drive for a living, or if driving is essential to your job, you’ll have to find other work after a DUI conviction, and a recent offense on your record will make finding that work difficult. Your automobile insurance rates will skyrocket after a driving under the influence conviction in Washington, and if you hold a professional license in this state as a doctor, dentist, nurse, pharmacist, civil engineer, teacher, insurance broker, real estate broker, or even as a lawyer, that license could be suspended or even revoked after a DUI conviction. If you are charged with driving under the influence in this state, it is imperative to have the advice and defense representation that a skilled Seattle DUI attorney will provide. Your DUI lawyer will work diligently and aggressively to bring your case to its best possible resolution. WHAT “PLEA DEALS” CAN BE OFFERED TO DUI DEFENDANTS? If the charge against you cannot be entirely dismissed, your attorney may negotiate a deal where, in return for having the driving under the influence charge dropped, you plead guilty instead to a lesser charge (such as negligent driving in the first degree) or to a different charge (such as reckless driving). In this state, negligent driving in the first degree is a misdemeanor, and DUI is a “gross misdemeanor,” a more serious charge. The most jail time that can be ordered for a negligent driving in the first-degree conviction is ninety days – compared to 364 days for gross misdemeanor DUI. The maximum fine in the state of Washington for negligent driving in the first degree is $1,000 – compared to a maximum $5,000 fine for driving under the influence. Additionally, there is no mandatory driver’s license suspension (as required by a DUI conviction) for a negligent driving conviction. Reckless driving is a more serious charge than negligent driving. In fact, reckless driving is a gross misdemeanor just like driving under the influence. 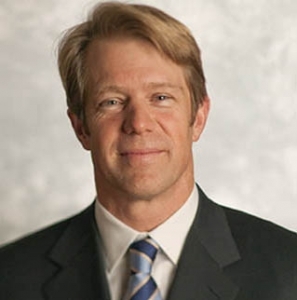 However, most defendants would rather have a reckless driving conviction because it will not go on your record as a DUI conviction, there is no minimum mandatory jail penalty, and the driver’s license suspension is for thirty days – compared to a minimum suspension length of ninety days with a DUI conviction. For some DUI defendants, entering into a deferred prosecution program will be a better option. With deferred prosecution, a DUI prosecution is “paused” or deferred for five years. If a defendant completes two years of treatment, stays sober, and is not charged with any other crimes, the state of Washington will drop the DUI charge after five years. However, any violation of the deferred prosecution program’s terms and conditions can trigger an automatic and immediate conviction on the DUI charge. Not every DUI defendant will be eligible for deferred prosecution. The defendant must be diagnosed by a medical professional as drug- or alcohol-dependent. 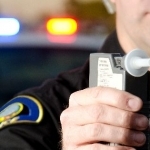 WHAT ARE THE PENALTIES FOR DUI IN WASHINGTON STATE? 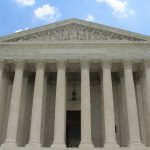 If a driving under the influence charge against you is not dismissed, if you’re not offered (or if you refuse) a plea bargain or deferred prosecution, and if you choose to plead not guilty and take your DUI case to trial, you could be acquitted of the charge, but you could also be convicted and sentenced to the maximum penalties, which in this state can include a year in jail and a $5,000 fine. Everyone who is convicted of driving under the influence in the state of Washington will also be ordered by the court to install an ignition interlock device (IID) in his or her personal vehicle. If you refuse to take a chemical DUI test after a drunk driving arrest, your driver’s license may be suspended for up to a year. For second and subsequent driving under the influence convictions in Washington, penalties are increasingly severe, and a fifth driving under the influence offense within a ten-year period is a felony punishable upon conviction by up to five years in a state prison and a fine of up to $10,000. Some states such as Missouri have different laws, so a Kansas City criminal defense attorney can offer legal assistance. The best advice about drinking and driving isn’t even legal advice. It’s the same commonsense wisdom that you’ve heard before: Don’t Drink and Drive. 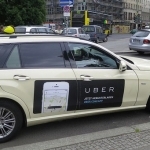 In the Seattle area, rides-for-hire are everywhere, and they’re available 24 hours a day – taxicabs, limousine companies, and rideshare services like Uber and Lyft. These services might cost you a few dollars, but what you’ll pay for a ride is negligible when compared to the cost of a DUI prosecution. Still, if you are stopped in traffic by the police and arrested for driving under the influence in the Seattle area, show the police your driver’s license, vehicle registration, and proof of insurance if an officer asks to see those documents. Do not consent to a search of your vehicle, but don’t resist the police in any way. Remember, to convict you of DUI or any other crime, the state must prove your guilt beyond a reasonable doubt, so get the legal advice and representation you’ll need after a driving under the influence arrest by contacting an experienced Seattle DUI attorney who will fight hard for justice on your behalf.